Bicycle crashes raise many questions that often times must be answered with less physical evidence than other types of crashes. 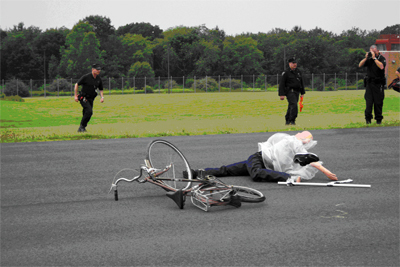 Even though bicycle crashes may seem similar to pedestrian crashes, in most cases they are not. 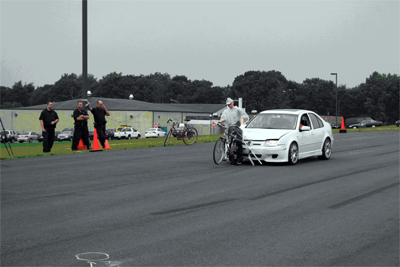 Bicycles are another type of vehicle with unique handling characteristics that must be considered during an investigation. Bicycles may pose conspicuity issues and be affected to a higher degree by roadway, environmental, and operator judgment issues then other vehicle types. Specialized training with documented events and controlled impacts provide the necessary background for an accurate and complete analysis. 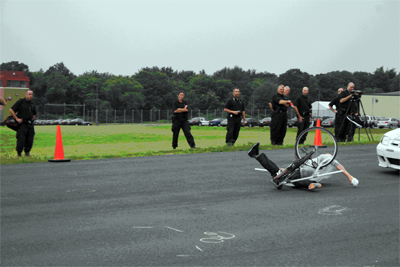 Shown below are examples of controlled bicycle crash training.